For organisations that require a single billing account that supports multiple users Survey Galaxy offer the Account Management Facility (AMF). With Survey Galaxy's Account Management Facility (AMF) a generic account is provided giving access to a nominated Account Manager. The Account Manager will have overall responsible for the account administration but is able to share the management responsibilities by nominating specific users as joint administrators. To provide the Account Manager with control of a generic account the AMF allows authorised user accounts to be flagged requiring them to seek approval before a published survey goes live. To cover for periods where a nominated Approver may be absent or on holiday AMF will allow all those with administration privilege to approve surveys. The accounts authorised users are all able to create, modify and manage surveys without any restrictions. On request for a survey to be published AMF will check the user profile to see if approval is required. 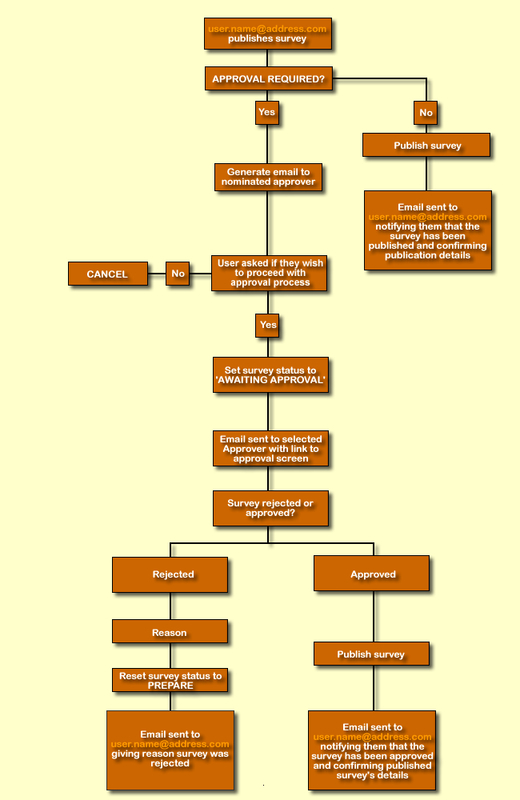 If approval is not required the survey is published immediately. If approval is required the user will be informed that before publishing the survey approval will be required and will list the nominated Approver. The user will at this stage be able to cancel the request to publish. If approval is required and the user confirms the request to publish AMF will set the status of the survey to 'APPROVAL PENDING' and an email will be sent to the nominated Approver as defined by the Account Manager. Name of the user requesting the publication Any charges that will be applicable A link to the survey so that it may be reviewed and modified Any of the Administrators may review and either approve, modify or reject a survey publish request. On approval of the survey publish request an email will be sent back to the user notifying them that the survey has been published. Surveys are published immediately on approval and the survey status will be changed to 'PUBLISHED' and the Account or nominated charge card will be debited by the advised amount. If a survey publish request is rejected an email will be sent to the user who submitted the request. The Survey status will be reset to 'PREPARE'. No charges will be made. 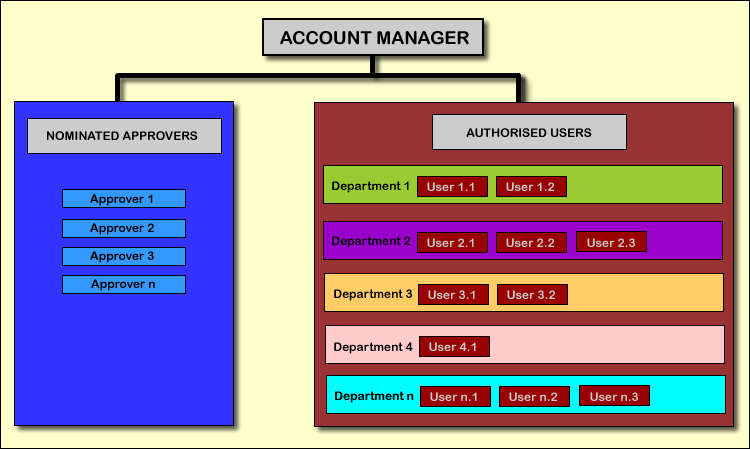 The Account Manager and all administrators are able to grant and suspend authorised users as well as nominate and modify Administrators. Summary information is available through AMF showing the account status, history and charges. Where AMF is used with the Enterprise Subscription the publishing and downloading of the detailed results for all surveys that are conducted within the active subscription period will not require further payment. At the end of each month the total number of responses across all an accounts active surveys for the month will be totalled. If the number of monthly responses is in excess of the subscriptions inclusive response limit an invoice will be created for the additional responses. The account will continue to be active providing the invoice is cleared by the payment due date. Services that are outside the subscription service will be included on the monthly invoice.